I am in Book Launch Mode. Here's a gratuitous picture of my two new books. I have written in the past about how to organise a book launch party. This article is not about that, although book launch parties are integral parts of the book launch and I have actually just spent the past month attending the launch parties of friends. This particular book launch piece is about bringing a book into the world – in my case TWO books, in one year. My first picture book Is It a Mermaid? was published in the UK in April, then in the US in May. And my third novel Bone Talk is going to be published in the UK in August. Launching a book is a mind trick for us authors. I mean writing a book takes time – my novels can be in progress for five to six years! – and during that time writing THE END is the only goal. And once the book is finished, what do authors want to do? We want to write the next book ... not faff around with marketing! In an ideal world, of course, authors can stay in their caves accumulating word count and cholesterol. But the world has not been ideal since it turned global. Publishers have shed that fusty old practice of nurturing an author then publishing to the small, appreciative audience who could be relied upon to buy books anyway. It was a smaller space with author and books at its centre - not bottom lines and market shares. And then of course came the internet, which may at first have appeared to be the procrastinating author's blessing, but has now put the task of promotion squarely in the author's cave. You need a plan on how you're going to engage with people before your book is available, and then motivate them to buy your book once it's published. Yes, I have read book launch guru Tim Grahl's guide. And yes, I've also read Grahl's Book Launch Blueprint – which by the way is currently available as a free download. It's full of great tips and Grahl's personal experiences helping turn his author clients into success stories. Which is going to be tough. You will need to be as motivated to market as you are to write the book. It's a full time job in itself – you can't do it unless you understand how it all works. You can't do it unless you have time away from work, new book, family, pet, etc. You can't do it without skills, like Luke couldn't rescue Princess Leia right away because he was only a moisture farmer. When I give talks on book marketing, it's hard to watch the eager faces of the audience crumple one by one as people realise the enormity of the task. But guys, you are authors. Remember how hard it was to start writing your book? How you had this great idea and hesitated for weeks, thinking, should I or shouldn't I? Thinking, it will take forever to write it! Then deciding, yes, you want it. Yes, you will write it. And then spending five bloody years working on it. This is actually a wee bit easier. You just need to do that thing you did. Say yes. And then get on with it. Unlike authors who write for grown ups, we kidlit authors know that the sales of our book are curated by the forces that circle young people like Dementors circling Hogwarts – parents, grandparents, teachers, librarians, Zoella ... these are the forces that influence the actual buying of your books (since our readers don't tend to buy books themselves). Most of you guys probably already get the idea of marketing to influencers. One of the new ideas I stumbled upon while procrastinating was the idea of the Purchase Funnel –actually to the marketing profession it's an old idea ... but, hey, it's new to me. I was trying to understand Facebook advertising (Argh!) so I clicked on a podcast on how to build a Facebook Ad Funnel. It's not just about knowing who your target audience is, it's knowing how enthusiastic he or she is about you and your books. The idea is you have to market in a different way to different levels of enthusiasm. Hot is the person who is always going to buy your book (Diehard fans, if you're lucky to have those. 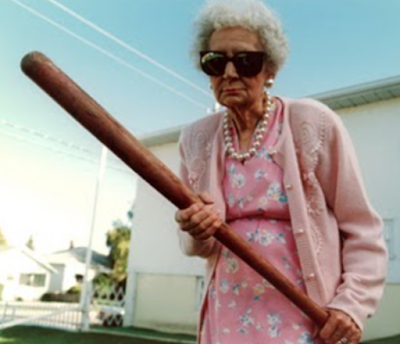 Mom ... Dad ... Grandma). Cold is the person who has had no contact with you and has no interest in your themes (The Dad in the bookshop who was staring at the shelf with your book on it but probably not at your book. Zoella. The BBC. Benedict Cumberbatch...). The takeaway is: each of these groups need a different approach. Otherwise you will find yourself engaging some and repelling others in equal measure. When I say 'marketing to' I really mean 'building a relationship with'. If you're in for the long haul – as in, planning a career in book writing – then you need to build an audience that is in it for the long haul too. Yes our readers are children who will outgrow our books. But every child who is captivated by your book will grow up to be an adult who will put that book into another child's hand. Most of us authors became writers because of some adult in our life – usually a librarian – who said, 'I think you will love reading this.' Now that's a relationship. Is there such a thing as a loving relationship that begins with an email saying 'Buy my book'? Luke Skywalker needed Obi Wan Kenobi to learn how to use the force. It's okay to be a padawan (non-Star Wars fans: a padawan is an apprentice). In fact, with this marketing gig, you will probably be a padawan all your life because though you do marketing it is not your job. You are an author and if you are out online marketing away and not writing books then you are in serious danger of not having anything to sell. It is easy to think, sitting in the writer's cave, that one is all alone in the world. There are people out there willing to help you. And a lot of them will do it for free. You may not have skills but some of your friends do. I'm sure they will all be clamouring to help, you've been such a fantastic giving friend. Have you? And if you're lucky enough to be traditionally published, your publisher will have a publicist and a sales team. Talk to them. Ply them with alcohol. Make them like you. There is so much information on the internet about marketing. Get good at Googling. Google knows lots of things you need. How to do a Book Launch Party. How to Set up a Mailing List. How to Market My Book. There are live spaces (as in not online) where you can be discovered. Libraries. Bookshops. Schools. Courses. Workshops. Fairs. Festivals. Though you may prefer to lurk in your cave, for the reader (or influencer), meeting you in person might be the most compelling incentive to buy your book. Comb your hair. Brush your teeth. Leave the pyjamas at home. Do an audit of what you already have. In the fog of despair, it's easy to forget that you're a pretty cool person with lots of talents you can deploy to this impossible task. You might not have noticed that you already have an asset in you had not previously identified as a marketing tool in your armoury. Have you got a blog packed with useful articles that you can repackage as free resources? Do you have a circle of friends, of people who are passionate about the same interests? It could be a Parent's Association, a hobby club, an online forum. Perhaps your book has a theme that could be of use/help to an interest group. My new book stars the dugong, an animal who is endangered because its sea grass habitat is under threat. I am trying to hook up with seagrass organisations and use the book as a platform to raise awareness about this lovely beast. If you are sure you haven't got one, join the Society of Children's Book Writers and Illustrators – make friends, attend events, help people. Do you have a creative skill that you can deploy - are you an artist? A poet? A knitter? A teacher? In your audit consider not just the skill that can help you do the marketing, but what you can make so that the readers will come. So many authors are taking courses in Twitter and Facebook and hoping that social media is going to be the way, the truth and the light of their book launch. 1. Much as we would like promotion to be all about Twitter (admit it, O social media addicted fellow authors!) – tweeting has not been shown to boost book sales. It is one tool, but probably not the best tool because people are not usually persuaded by shouting through a megaphone. People need more than words to buy a book. 2. Ask not who will buy your book ... ask what you can give away to get people to pay attention to your book. I realised that my author website was beginning to look old fashioned so I have been redesigning it, with custom pages for each book. I haven't got money for a web designer so I am using a free Wix website. Check it out. I've been working closely with the publicists of my publishers, Otter-Barry Books and David Fickling Books, asking them to pitch me for festivals, saying yes to most requests. The other day, I presented a three minute spiel (there were ten other authors) to independent bookshops and the sales team at Faber (who take DFB books to bookshops). I had never done such a thing before and it woke me up to the need for more information about my forthcoming novel in advance of its publication. So I took my three minute spiel and turned it into this video. I have so much more to do. I am working on a new presentation to bring to school visits on the themes of my new books. I am creating free bonus materials for schools and readers to download from my website. 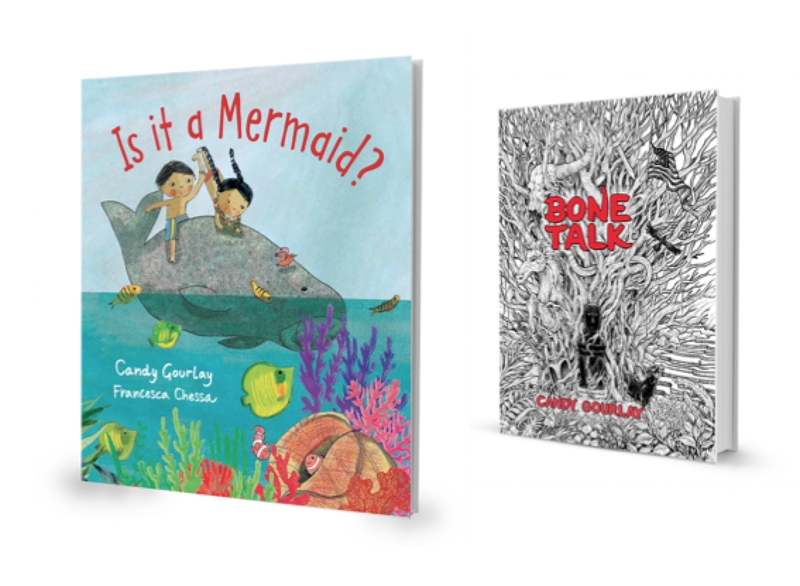 And with Bone Talk out in August, I have another book launch party to plan! But you shouldn't allow it to be. Because you already have a job. So my final tip is one that will make sure you will continue to launch books for some time to come. 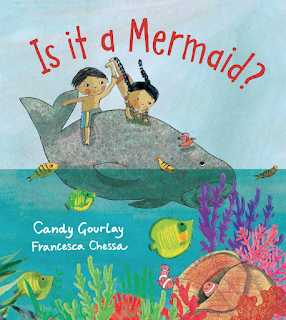 Did I mention that my first picture book is out gorgeously illustrated by Francesca Chessa? Available at all good book stores. Brilliant article Candy, the marketing does feel like another job at times, it certainly takes the time of one, but think the key is to find the passion in the marketing- it’s so clear that you love making your fab videos. Bone Talk is the next book on my list. Thanks for dropping by, Joe. I hope you enjoy Bone Talk! About videos – If you make videos like I do, it's now a good idea to upload your video on BOTH YouTube and Facebook, instead of posting the YouTube link to FB. Facebook ranks videos resident in FB more than YouTube and will give them more exposure. Great article Candy. V useful because I'm just finishing book 3 so I now have time to market the series before pitching new ideas. I do find this bit hard although I do love going into schools. Come over and let us brainstorm! Funny Bones - can we learn to write 'funny'?